My Cricut Design Space Star Team (#DesignStar12Love) ‬is at it again. 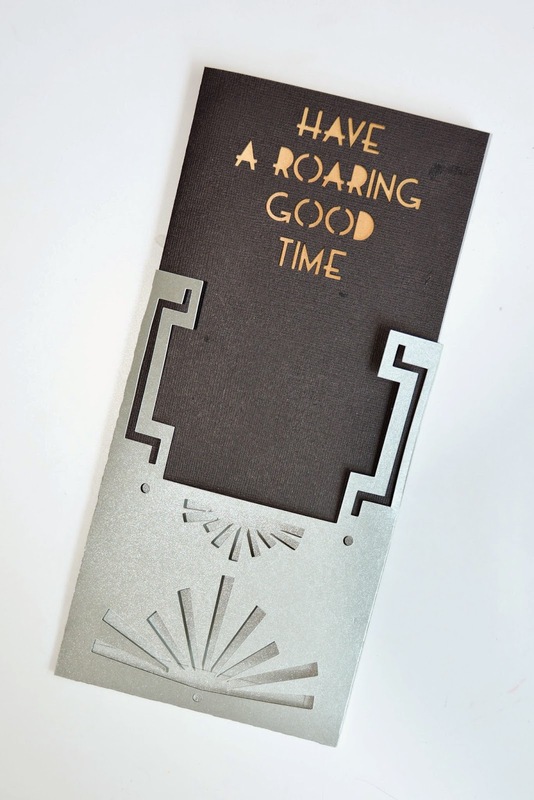 This month Cricut has challenged us to come up with designs for a celebration and we decided to be a bit selfish and design a party we'd love: a Roaring 20s Birthday celebration. I don't know about you but I've been seeing a lot of great Art Deco out there. From furniture to fashion to weddings. 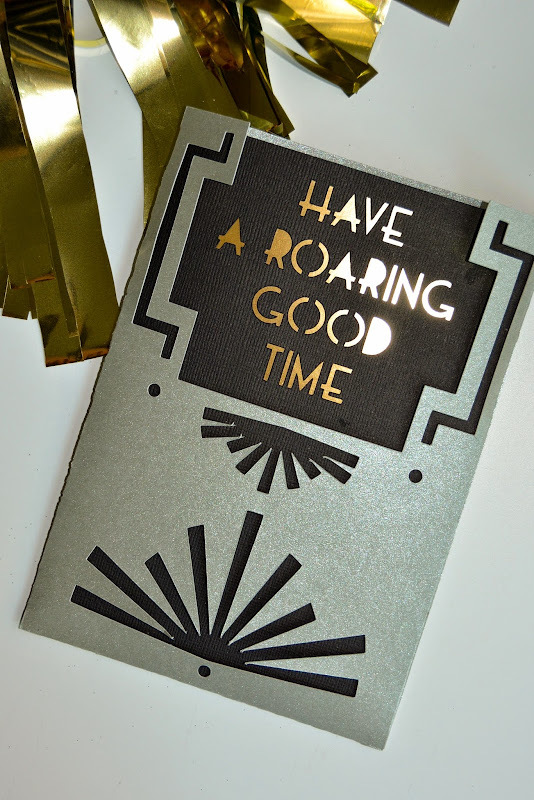 How great would it be to sew up a flapper dress and an throw yourself, or one of your best friends, a Roaring 20s party?! 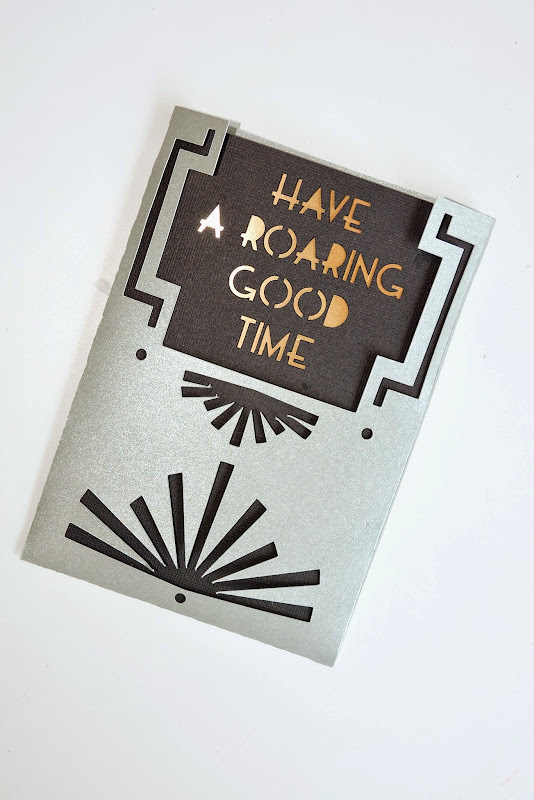 Well, stay tuned, because Team 12 has a suite of great Art Deco design ideas to help you host 1920s style. I'll be linking up their posts below. 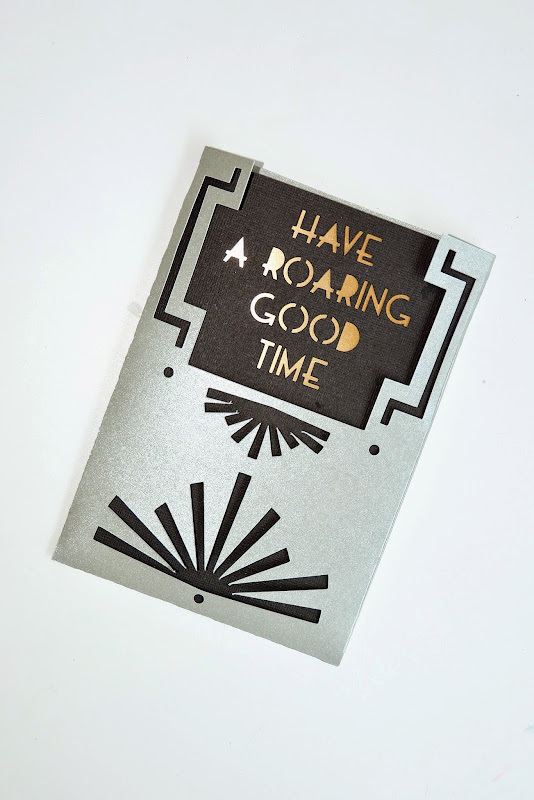 My contribution to the effort is an art deco inspired party invitation. 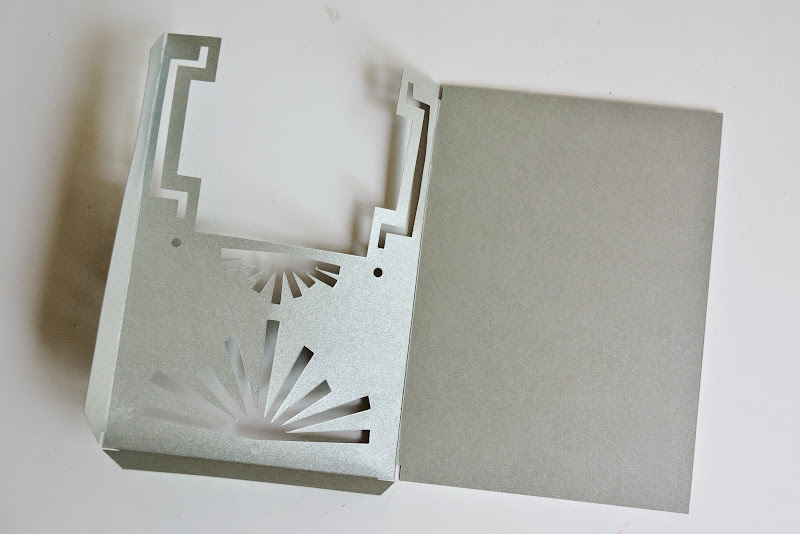 I took advantage of the Cricut Explore to create layered geometric cutouts on an invitation and invitation sleeve. Because why just have an invitation in an envelope when you can have an invitation in a sleeve in an envelope? Sometimes more is more! This invitation is designed to fit in a 5"x 7" envelope and includes a .svg file for the sleeve and a second .svg file for the invitation. 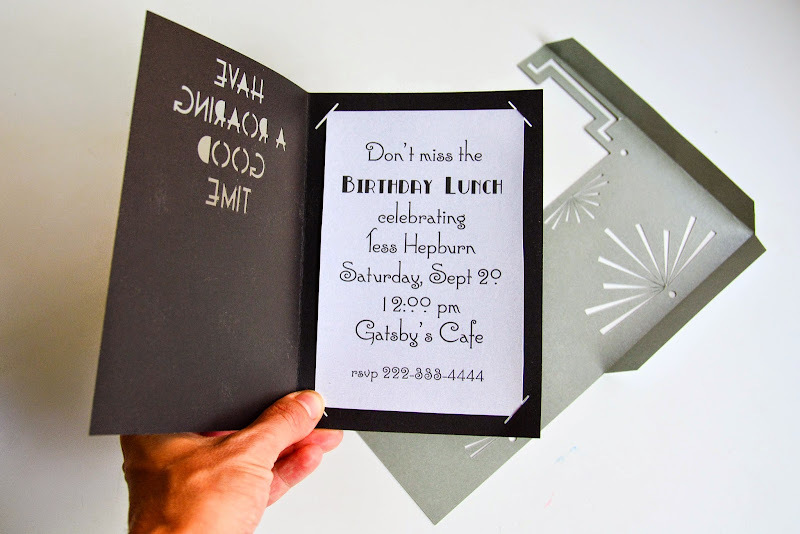 I printed a 4.25"x 6.25" insert card with all the party details using free fonts "Connie" and "Broadmoor." A rectangle of gold foil or foiled cardstock measuring 4.25"x 6.25"
Import the .svg files (or open the projects) within Cricut Design Space. The elements within the file are already grouped for you. You can simple press "Go" to get the Mat Preview. Select the number you would like to print, place the cardstock on the cutting mat and go! 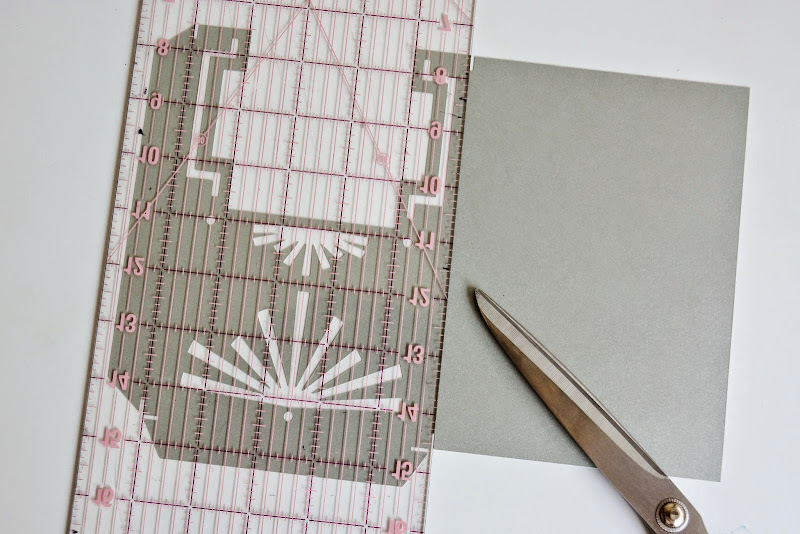 To assemble the invitation sleeve, use the cut-out guides to score lines for folding using a ruler and a bone folder or the blunt edge of the scissors. Score the division between the front and back (shown above), the bottom flap and the side flap of the invite sleeve. Apply glue to the sleeve flaps, and fold and stick to assemble. I recommend having the side flap folded inside the sleeve while the bottom flap is folded up on the outside so it is easier to insert the invitation into the sleeve. 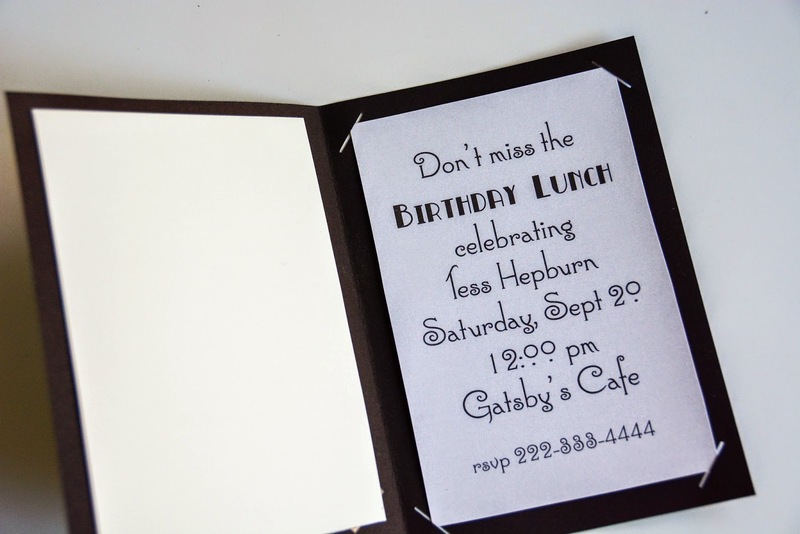 Score and fold in half the invitation. 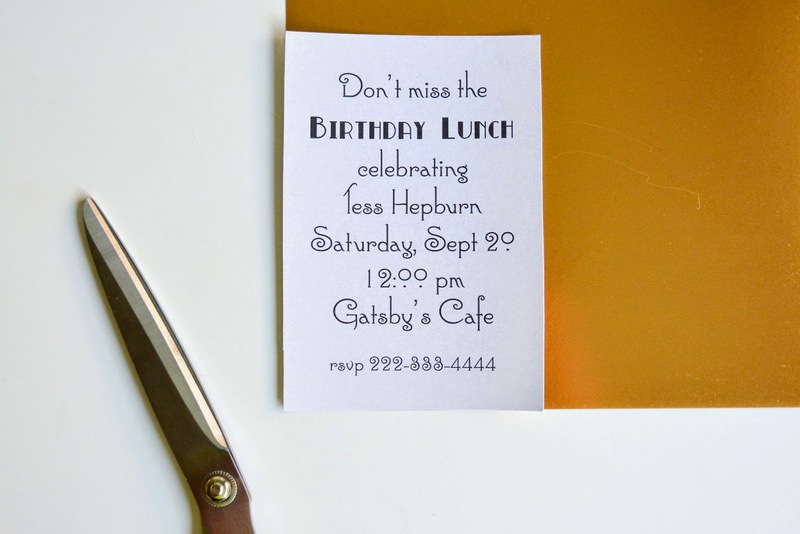 Print out an inner card measuring 4.25"x6.25" with the invitation details and insert it into the slots cut into the invitation. 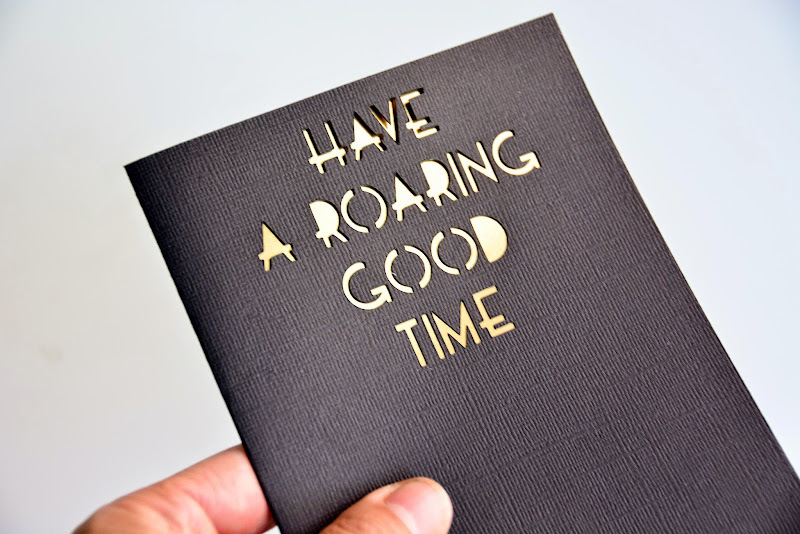 Cut out a piece of gold foil, or gold cardstock, the same dimensions as the inner card and glue it to the inside of the invitation so the gold peeks through the cut out letters on the front of the invitation. 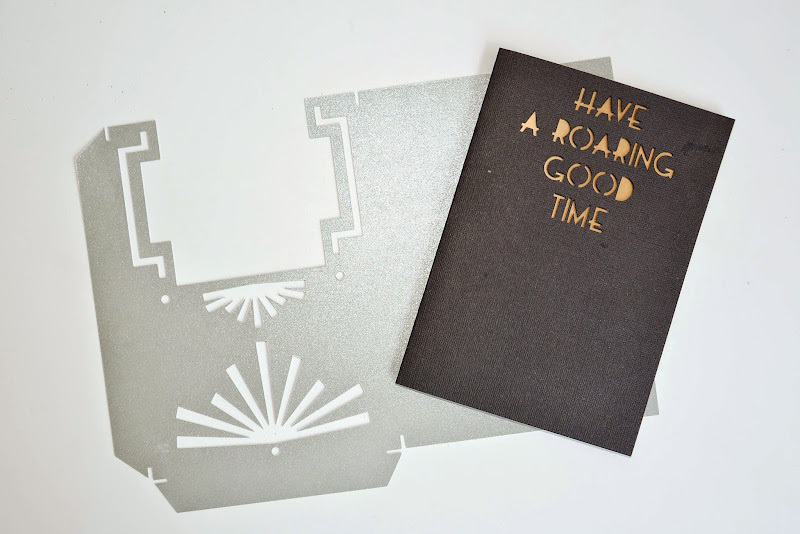 Insert the invitation into the sleeve, tuck it into a pretty envelope and invite your friends over for a Roaring 20s celebration. P.S. 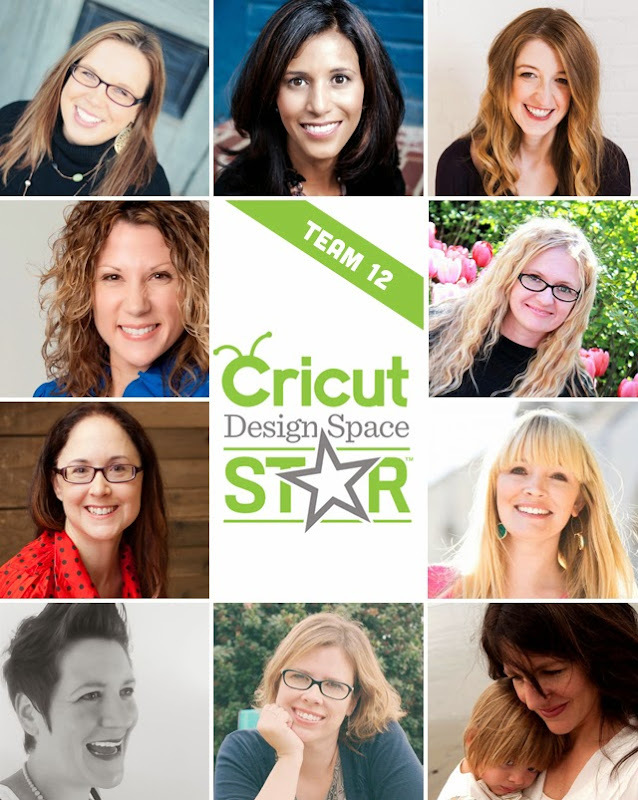 Are you following along with the Design Space Star competition? You can see all the projects on the Pinterest board. P.S.S. Cricut has just announced the second phase of the Cricut - I Made It! contest and this time they’re awarding one winner their own Make it Now™ project line to be sold in Cricut Design Space™. To enter the Cricut - I Made It! contest, all you need to do is enter a photo of an original project by September 30th. Visit cricut.com to enter. 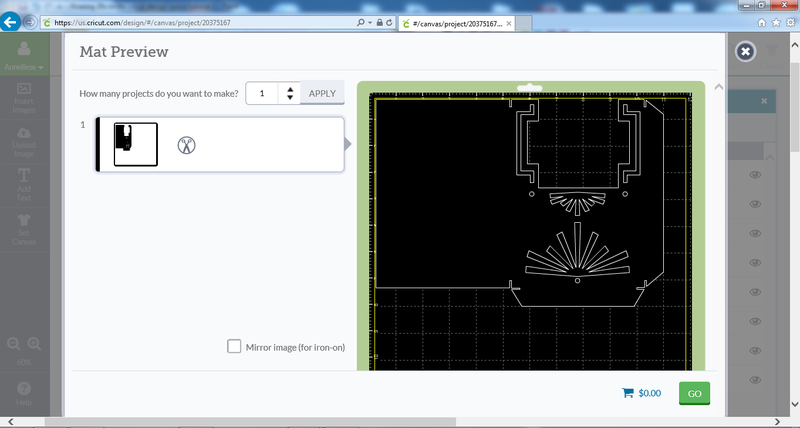 Cricut made a wise choice deciding to have you (and your group) do these tutorials. Wonderful and a great help for using their product. I love, love, love this invitation. It looks amazing! Great tutorial too! Amazing invitation! Love the sleeve and the metallics! This is such a fun invitation!! Awesome job! Wow. This is so fancy and fun! Cool Anneliese!